Wish I would have paid attention to my surroundings and more people there.. I was too busy working half days my Jr & Sr year to make ends meet at home - After my mom passed my Sr. year I lived with my brother last 5 months till graduation.. moved out day after graduation and been on my own ever since. So I feel I really missed alot of fun and getting to know my peers better. I think I was just in a fog those last two years... Wish I remembered more! So sad! Became a Grandma in Feb 2011 - Its the most awesome thing Ive ever accomplished raising my kids for them to raise kids in such a wonderful way. I love babysitting them. Babysit my Grandbabies- Aiden Orion Whitney & Noah Bane Whitney... Watch Movies and Hang out with Friends. Love chatting on Facebook. Moved to North Pole, Alaska 2000-2003 (outside of Fairbanks) Been back in Dallas area since 2003. Hanging out at Kicker Corner with my friends. Everyone piling into my car for lunch at Taco Villa. We have none here in Dallas and I crave my Taco Villa. Kathy Cullison has a birthday today. 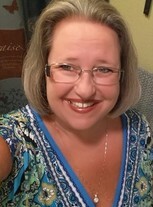 Kathy Cullison updated her profile. View. Kathy Cullison added a photo to her profile gallery. 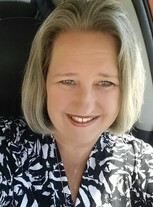 Kathy Cullison changed her "Now" picture. Kathy Cullison changed her profile picture. My Grandbaby Aiden - Playing in the bubbles!